Many people are aware that gum disease is a harmful oral condition, but did you know that untreated gum disease can seriously affect the health and function of the gums, bone, and teeth? Untreated gum disease has also been linked to systemic health conditions such as diabetes and heart disease. While gum disease is incurable, it is rarely untreatable, and the good news is that there are many types of treatments at our Scarborough, ON office available to treat gum disease at any stage! Along with providing traditional treatment, we are trained in LANAP®, a minimally invasive alternative option that utilizes dental lasers to remove disease and bacteria. Many patients choose this solution because it eliminates the need for incisions and sutures and helps promote a faster and healthier recovery. Patients from the Scarborough, ON area with any of the following symptoms who wish to receive care from our experienced dentists can schedule a gum disease consultation at our office today! Soft tissue health by removing diseased tissue and the bacteria that is causing inflammation and infection. 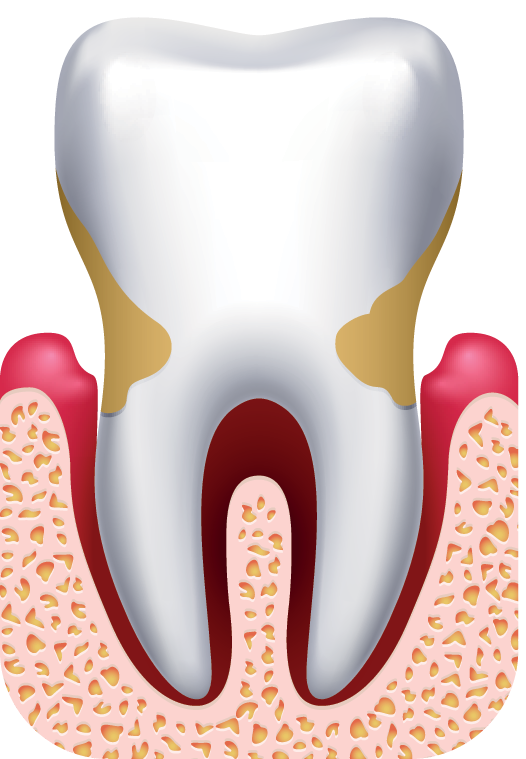 Periodontal pocket depth by ridding the teeth of plaque and tartar buildup and infection-causing bacteria so gums can reattach to healthy, clean tooth roots. Oral and dental health by eliminating harmful bacteria and chronic infection from the mouth and returning teeth and gums to a healthy, disease-free state. Scaling and root planing is generally the first line of defense against gum disease and is a non-surgical “deep clean” of the teeth. Scaling remove plaque and tartar buildup on the teeth above and below the gum line. Root planing smooths the surface of the teeth to encourage reattachment of the gum tissue, lessening the depth of the periodontal pockets around the tooth roots. LANAP, or laser assisted new attachment procedure, uses the Periolase MVP-7™ dental laser to remove plaque, tartar and bacteria from around the teeth. The laser can also remove diseased tissue without harming healthy surrounding tissues. Once the area is free from disease, LANAP cauterizes the area to promote healing and regeneration of new tissue and bone growth. More advanced stages of gum disease affecting the integrity of gum tissue and bone require more aggressive osseous “flap” surgery to remove diseased tissue and bacteria. After gum tissue is incised to expose tooth roots, special tools remove plaque and tartar and reshape the bone. Gum tissue is then sutured back in place to reduce or eliminate periodontal pockets. Gum disease cannot be cured and must be monitored after treatment is complete. Periodontal maintenance is a deep cleaning of the teeth that occurs every 3-4 months to remove plaque and tartar accumulation and to check periodontal pocket depth. This monitoring can help catch early stages of gum disease if it returns and treat it before damage occurs. Treat Gum Disease Before It Harms Your Oral Health!